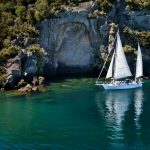 Departing from the main Port Gates at 10 am, this is just a few minutes walk from the ship, we begin with a short drive through the beach suburb of Mount Maunganui we head over the Harbour Bridge to the main city of Tauranga. Next to Te Puke, the home of the New Zealand Kiwifruit, where we stop at Kiwifruit Country Store, showcase of the Kiwifruit industry. We join a short tour through the working orchard to see the fruit growing. There is also chance to taste some products from this iconic plant as well as shopping in the extensive shop. 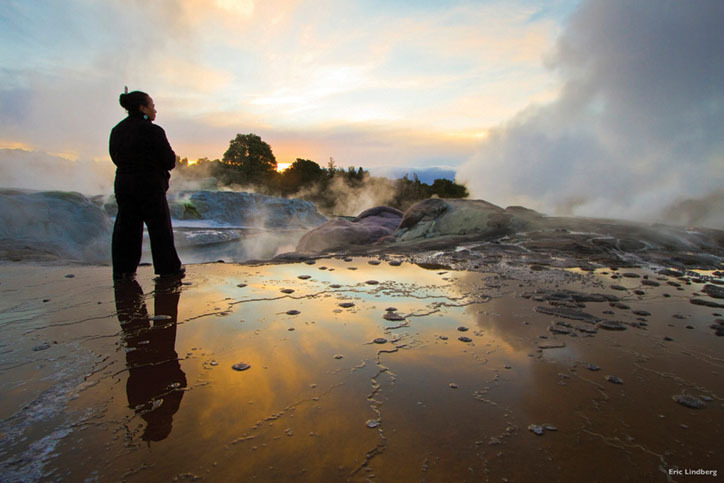 Our route then continues through farmland, native bush and forested areas, past Lake Rotoiti and Lake Rotorua before arriving at Te Puia, Rotorua's most famous geothermal destination situated at e Whakarewarewa. 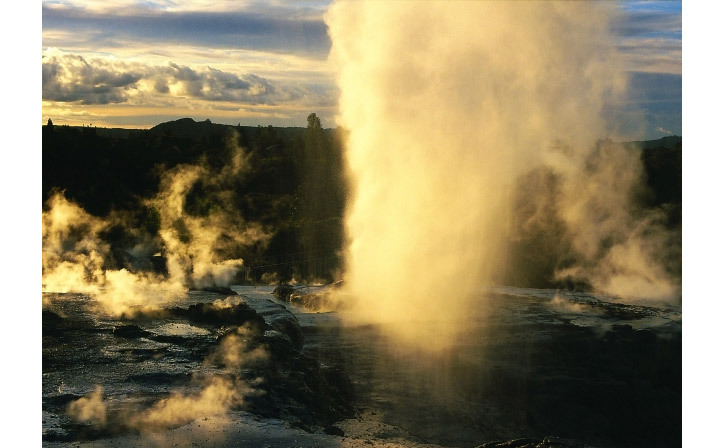 Te Puia is also the Maori Arts and Crafts Institute and the location of the famous Pohutu geyser. We can visit the carving school and see craftsman at work, and the watch traditional flax weaving. 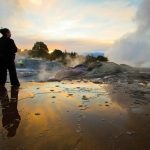 A short walk through the geothermal valley of Whakarewarewa to the mud pools, famous Pohutu geyser and the hot pools that make Te Puia unique. 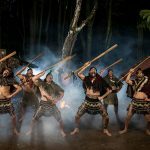 See New Zealand's iconic flightless bird, the Kiwi in a purpose built Kiwi-house and explore the recreated traditional Maori fortified village. Seats are reserved for us to see a Maori Cultural Performance; this is given on the Marae, in one of the few fully carved meeting houses in New Zealand, a place of special spiritual significance to Maori. 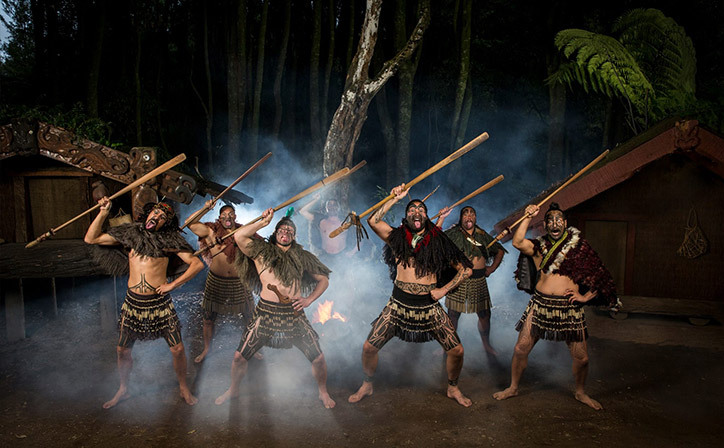 Here you will see the traditional songs, dances and demonstrations of fighting skills [including the Haka] performed. 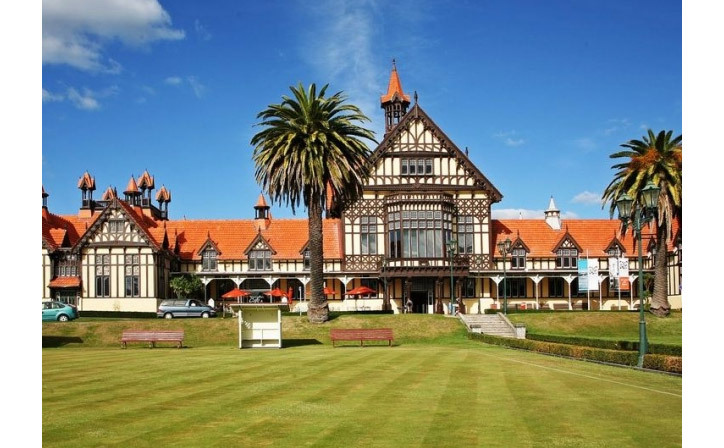 Before departing Te Puia there is time for you to buy lunch at the cafe. 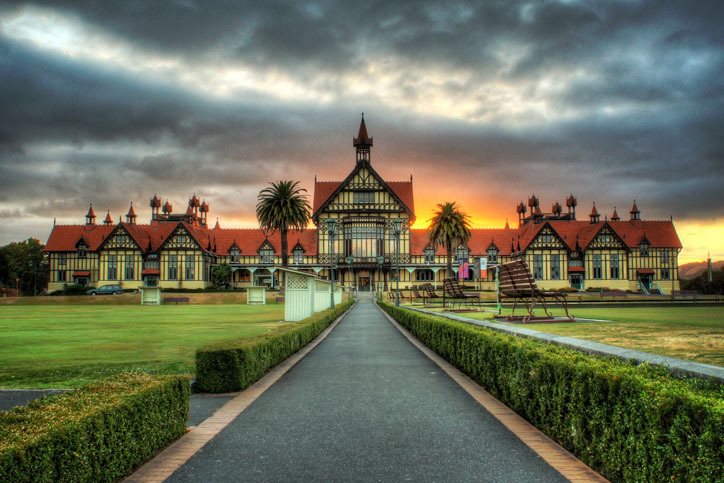 Next we drive through Rotorua city to see the Government Gardens, the Rotorua Bath House [now a museum], Rachel's Pool, the Blue Baths and the Polynesian Spa and other city sights depending on the time available. 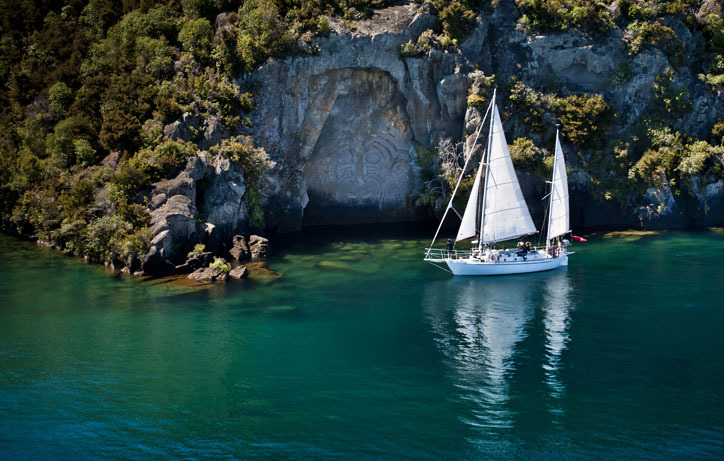 Departing Rotorua, we return to Tauranga by an alternative scenic route over hills and through deep gorges. No meals are included in this tour but time for lunch at a local cafe is allowed. Child rates for 4-15 years. 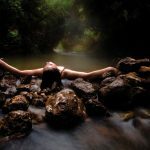 There are 13 reviews of this tour from past clients of Relaxing Journeys, averaging 4.6 out of 5. The tour was excellent. Our driver and guide was informative, friendly and ready to answer all our questions. 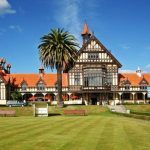 We had a great time enjoying our Rotorua experience. The guide Terry did a great job. Only negative was we felt the kiwi fruit farm experience was boring and a waste of our limited touring time. 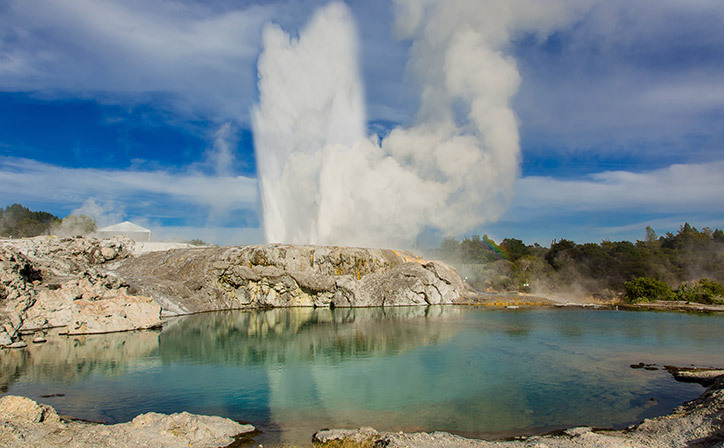 Perhaps a shorter version of the Rotorua tour would be better. Booked online from Aus. Tour went like clockwork, Julie was great witty and knowledgeable. Highly recommend. Thank you. Our tour guide, Russell, was very knowledgeable about the Maori language and culture. He taught us a lot. We enjoyed his insight into all that's New Zealand. We also enjoyed touring the Kiwi farm and Maori Te PuiaA with the geothermals. Loved the cultural show. 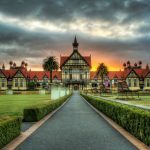 I would highly recommend the tour for anyone who wants to learn about New Zealand. Coach driver Brian was exemplary in his attention to passengers and their welfare. His knowledge was knowledge and he did his best to ensure a great tour. 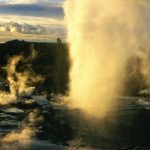 Unfortunately, due to short booking numbers we were linked into another group and therefore did not get the tour we'd paid for - missing out on quite a lot of time at the Geothermal/Maori centre which was very disappointing. Booking with Relaxing Journeys was so easy and the service was great. There were 6 of us and we were combined with 6 other people. We really enjoyed the smaller bus group and felt like the tour was much more personnel. Our tour guide, Doug, was very entertaining and knowledgeable. He gave us so much more than the average tour info. Would definitely recommend. Christine was an excellent guide for the day trip to the hot pools. The Maori cultural program was well done..we also enjoyed the visit to the kiwi plantation. It is very nice tour. I recommend it to other tourists. A lot to see in 1 day. We did not get to see kiwi. It was sleeping under the bush behind glass...at least that is what we were told. Maori dance group was ok. One male dancer was OUTSTANDING. He looked Maori and danced like Maori. The rest of dancers were ok.
Scott and I had a wonderful time on this tour with Christine. The sites / information provided by Christine was wonderful. Thoroughly enjoyed the fact that it was a small number of people for the tour.We were most chuffed that Scott got to become our chief at Rotorua Te Puia, upon Christine nodding and winking at the lady speaker. It was a greatay all round for us and I think the rest of our tour companions enjoyed it also as they became our instant family for the day. Thanks to Christine and your team for a wonderful day. Our driver and guide met us at the ship and introduced himself. He had a sign which made finding him among many drivers very easy. Once loaded we started our adventure. Our driver was both courteous and informative. He took us to all of the promised places and told us about interesting historical events along the way. 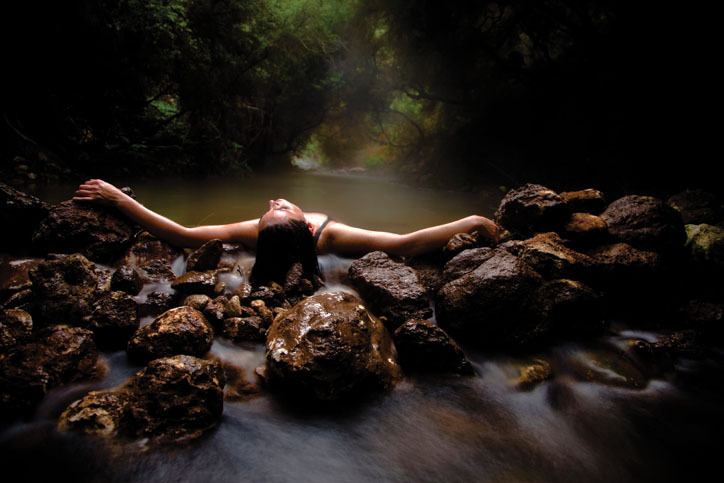 When compared to a trip our friends went on, this was far superior and a much better value. 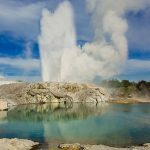 We certainly would highly recommend Relaxing Journeys to any travellers wishing to visit Tauranga and the Geo Thermals in Rotorura.